____(2) the vessel must be in transit passage, continuous and expeditious traversing without delay of the strait. Other activities or vessels not in �transit passage� are treated in accordance with the provisions applying to the territorial sea. The Convention does not define the term �strait�. Any geographical formation commonly understood to be a navigable strait would therefore fall under these provisions. However, Part III applies only to those straits which are used for international navigation unavoidable for convenience of navigation and provide access from one part of an exclusive economic zone or the high seas to another part of an exclusive economic zone or the high seas. As the exclusive economic zone commences twelve nautical miles from the baseline, the regime of the passage of straits will generally apply only in straits with a width of twenty-four nautical miles or less, for when there is within the strait an equally convenient route which is part of the high seas or the exclusive economic zone, the regime of passage through straits does not apply, just as it is not applicable if one end of the strait opens only into the territorial sea of a third state. The concept of transit passage takes its place midway between "freedom of navigation" and "innocent passage," while being related more closely in structure to the latter. Transit passage includes provisions of conduct and the use of sea lanes and traffic separation schemes; states bordering straits are obligated not to hamper any passage and they have no right to suspend transit passage temporarily even in specifically designated areas as is possible for innocent passage in the territorial sea. The jurisdiction of states bordering straits is restricted to administration: navigation (including sea lanes and traffic separation schemes) pollution, fishing, loading and unloading. However, it also includes the fields for which the state has jurisdiction in the contiguous zone namely the prevention of infringement of customs, fiscal, immigration, and sanitary laws. Any such regulations may not be discriminatory nor may they have the practical effect of abolishing the right of transit passage. Vessels may not conduct research and survey activities without the consent of the states bordering the strait. Aircraft may overfly the straits. Both vessels and aircraft must comply with coastal state regulations refrain from threats, and respect international regulations regarding safety at sea and pollution, regulations for prevention of pollution are to be established by agreement. 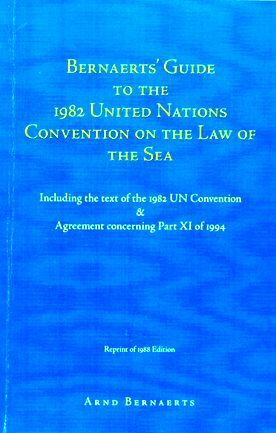 It should be emphasized that the Convention provisions in respect to pollution from vessels do not affect or apply within the regime of straits; only if there is major damage or the threat of major damage may the bordering states act. The right of transit passage also applies without restriction to warships and government-owned commercial vessels, but the flag state in each case is responsible for any damage caused by vessels which are entitled to sovereign immunity.